inFORM is a Dynamic Shape Display developed by MIT Tangible Media Group that can render 3D content physically, so users can interact with digital information in a tangible way. inFORM can also interact with the physical world around it, for example moving objects on the table’s surface. Remote participants in a video conference can be displayed physically, allowing for a strong sense of presence and the ability to interact physically at a distance. A team of three designers, Oleg Imanilov, Zvika Markfield, and Tomer Daniel, have recently developed a novel sign language interpreter glove. Basically, the glove works as an input device from which the user is able to use sign language to create a text message. The hw system consists of AD board, gyroscope, finger sensor, Lilypad Adriano and an accelerometer. The prototype was demonstrated at a recent Google developers event in Tel Aviv, and can be seen in the video below. Lomak International Limited was awarded the Gold Prize in the Computer Equipment category in IDSA's 2007 Awards. Lomak is ideal for a work environment as it is easy to install, use and manage. It requires little or no technical support as from a systems perspective it is recognised as simply a USB keyboard and mouse. NTT engineer Shiro Ozawa, who developed the system, envisages various applications. "You would be able to take the hand, or gently pat the head, of your beloved grandchild who lives far away from you," he says. Anthony Steed, who works with haptic systems at University College London, UK, says the real-time image capture made possible by the Tangible 3D system is especially interesting. His own research group has performed related work. But this involved connecting a haptic device to a 2D display on which the user's hands are projected, rather than allowing users to manipulate virtual objects directly. He thinks the NTT system could make the interaction feel much more real, although the haptic glove could hinder this. Steed's group wants to use such technology to make valuable museum exhibits touchable and is working with the British Museum in London towards this goal. (from the conference website) Enactive / 07 is an international scientific and cultural event, promoted by the European Network of Excellence ENACTIVE and organized by the ACROE-ICA group, from INP-G. It will be held in Grenoble (France) on November 19-22, 2007. Seizing the opportunity of its welcome to Grenoble, an historical place in France for innovation in Arts, the 4th International Conference on Enactive Interfaces will be exceptionally extended by an intellectual and artistic event: Enaction_in_Arts. In the continuation of previous editions (2004, Villard-de-Lans, France; 2005, Genoa, Italy; 2006, Montpellier, France), Enactive / 07 aims at promoting the concept of Enaction in the field of Information and Communication Technologies. Creative researchers, innovative engineers and producers are invited to confront their last theoretical, experimental, technological and applicated advances during various talk, demo and poster sessions. Arts and Culture is one of the main fields that are intimately linked with contemporary concepts and technologies. Enaction_in_Arts sessions aim at promoting innovative artistic creations, theories and technologies for the Future of Arts. It will be a unique meeting at the crossing point of Art – Science – Technology and will offer to researchers, engineers and artists the opportunity to discover in the same place, at the same time, cutting-edge research, technologies and artworks centered around Enaction and Enactive Systems. Special attention will be accorded to situations allowing rich interactions between participants through Ateliers, hands-on demonstrations and experimental open spaces. Moreover, Concerts and Exhibitions will be open to the general public. Deadline for preliminary submission to Enaction_in_Arts extended to January 31, 2007. Virtual Reality Journal, Springer London, Volume 10, Number 3-4 / December, 2006, Pages 253-269. This paper presents a model of (en)action from a conceptual and theoretical point of view. This model is used to provide solid bases to overcome the complexity of designing virtual environments for learning (VEL). It provides a common grounding for trans-disciplinary collaborations where embodiment can be perceived as the cornerstone of the project. Where virtual environments are concerned, both computer scientists and educationalists have to deal with the learner/user’s body; therefore the model provides tools with which to approach both human actions and learning processes within a threefold model. It is mainly based on neuroscientific research, including enaction and the neurophysiology of action. The general objective of the ENACTIVE Network is the creation of a multidisciplinary research community with the aim of structuring the research on a new generation of human-computer interfaces called Enactive Interfaces. 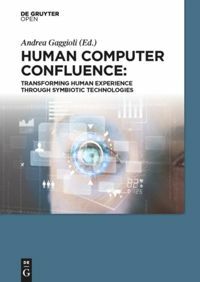 Enactive Interfaces are related to a fundamental “interaction” concept which is not exploited by most of the existing human-computer interface technologies. As stated by the famous cognitive psychologist Jerome Bruner, the traditional interaction with the information mediated by a computer is mostly based on symbolic or iconic knowledge, and not on enactive knowledge. While in the symbolic way of learning knowledge is stored as words, mathematical symbols or other symbol systems, in the iconic stage knowledge is stored in the form of visual images, such as diagrams and illustrations that can accompany verbal information. On the other hand, enactive knowledge is a form of knowledge based on the active use of the hand for apprehension tasks. Enactive knowledge is not simply multisensory mediated knowledge, but knowledge stored in the form of motor responses and acquired by the act of "doing". A typical example of enactive knowledge is constituted by the competence required by tasks such as typing, driving a car, dancing, playing a musical instrument, modelling objects from clay, which would be difficult to describe in an iconic or symbolic form. This type of knowledge transmission can be considered the most direct, in the sense that it is natural and intuitive, since it is based on the experience and on the perceptual responses to motor acts. Enactive Interfaces are new types of Human-Computer Interface that allow to express and transmit the Enactive knowledge by integrating different sensory aspects. The driving concept of Enactive Interfaces is then the fundamental role of motor action for storing and acquiring knowledge (action driven interfaces). Enactive Interfaces are then capable of conveying and understanding gestures of the user, in order to provide an adequate response in perceptual terms. Enactive Interfaces can be considered a new step in the development of the human-computer interaction because they are characterized by a closed loop between the natural gestures of the user (efferent component of the system) and the perceptual modalities activated (afferent component). Enactive Interfaces can be conceived to exploit this direct loop and the capability of recognising complex gestures. The development of such interfaces requires the creation of a common vision between different research areas like Computer Vision, Haptic and Sound processing, giving more attention on the motor action aspect of interaction. An example of prototypical systems that are able to introduce Enactive Interfaces are Reactive Robots, robots that are always in contact with the human hand and are capable of interpreting the human movements and guiding the human for the completion of a manipulation task.